We know exactly what this specimen is! 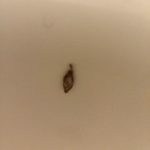 This is a case bearing moth larva. 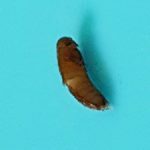 These larvae are scientifically known as Phereoeca uterella, but some call them household casebearers, plaster bagworms, or case bearing moth larvae! 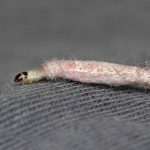 A case bearing moth larva constructs its “case” during the first larval stage (which is known as the 1st instar.) First, they secrete silk to form the general shape of the case. The inside of the case remains silk-lined, and provides a safe home for the larva as it eats and grows. Next, the outside of the case collects tiny particles of sand, dust, dirt, and other fibers. While they are growing, case bearing moth larvae eat spiders and spider webs, and sometimes wool carpet and clothing. 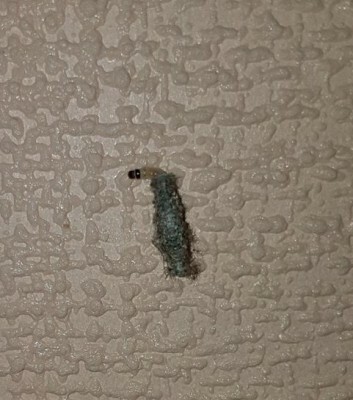 Once the larvae are ready to mature into moths, the larvae crawls up a vertical surface and attaches its case to the wall using secreted silk. Pupation occurs within the case, after which the case is left behind as evidence. 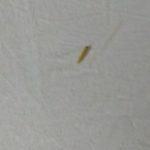 Many people never notice the larvae themselves but just discover the left behind cases. 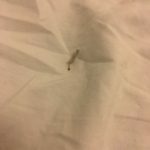 Case bearing moth larvae are harmless, but are sometimes considered a nuisance or a pest worm. 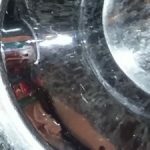 If our reader is dealing with a lot of these specimens, he should vacuum and clean every day to eliminate the particles they use to make their homes. He may also consider installing an air conditioning unit in order to keep cool air flowing and deter these larvae from becoming comfortable. 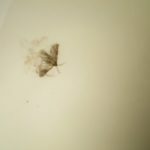 To sum up, one of our readers discovered a case bearing moth larva in his home. These larvae use secreted silk and small particles to build a case to live in until they pupate into moths. 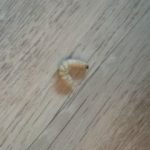 One of our readers discovered a case bearing moth larva in his home. These larvae use secreted silk and small particles to build a case to live in until they pupate into moths.